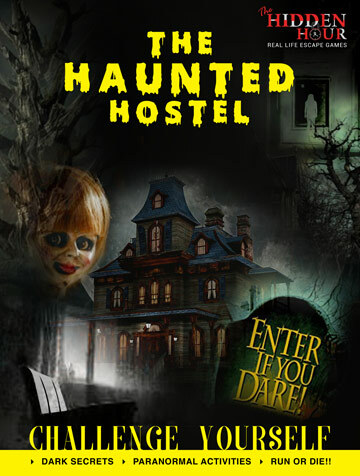 One night unluckily you are locked inside the hostel all alone and hear somebody calling your name from the same room. Freaked out, you dare to enter the room and find yourself locked in it. Weird lights, strange sounds, chilling experiences! There are 60 minutes to discover what happened and make your escape, lest you succumb to the terrors of the room. Can you unravel its dark secret before it consumes you!!! 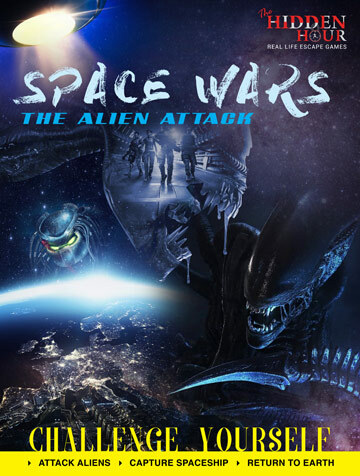 The Hidden Hour is proud to present India’s most Hi-Tech escape game ‘Space Wars - The Alien Attack’. The only escape room in India that doesn't involve the usage of any manual locks or keys. 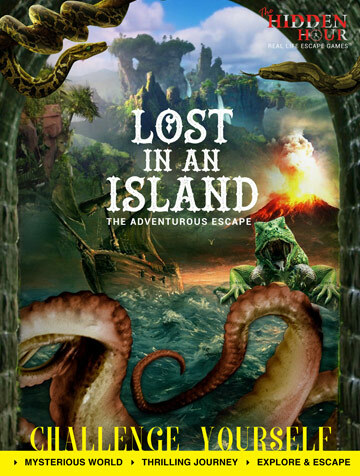 It has been designed using the latest technology for the next-generation escape game experience. You will be transported to the amazing sci-fi world of aliens, space crafts and extraterrestrial forces. The only way to escape the unknown spaces of this planet is by attacking the aliens back, killing them and gaining control over the alien spacecraft. And you have just one hour to decipher the mystery of alien world and return back to Planet Earth or else you will be forever lost in the darkness of the universe. Stay focused and accomplish the mission!!! You are a group of explorers who are on their voyage to discover an unknown island. On landing, you find that the island has lush green forest full of mysteries. This excites your group and you go into the interiors and crosses an old fort witnessing amazing landscapes. Suddenly the volcano erupts and it starts destroying the island. You realize that you have very less time to reach the shore and board the ship before the volcanic lava melts you. Rush & escape before it's too late. *** For group bookings of 12 or more people (corporate events, birthday parties, etc.). please call us at +91-8377094958 to know about our special packages.